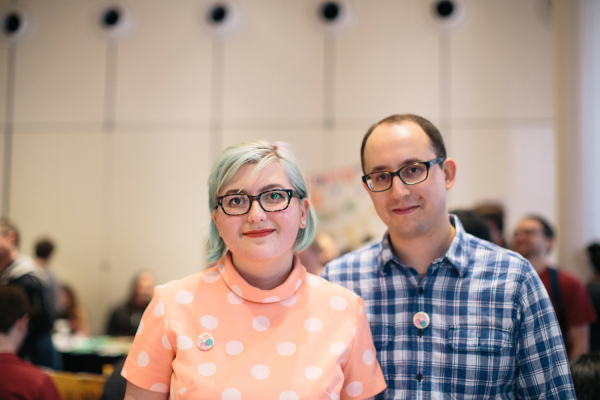 The Brooklyn Zine Fest is organized by founders Kseniya Yarosh and Matt Carman. Photo by Sylvie Rosokoff. Zines, pronounced like “zeen,” are small circulation self-published works that can be centered around just about any topic you can think of. The word “zine” is short for fanzine or magazine, and these independently produced works have been around for decades, supported greatly by those involved in local DIY movements and artistic subcultures. This year marks the fourth annual Brooklyn Zine Fest, and the second held at the Brooklyn Historical Society. 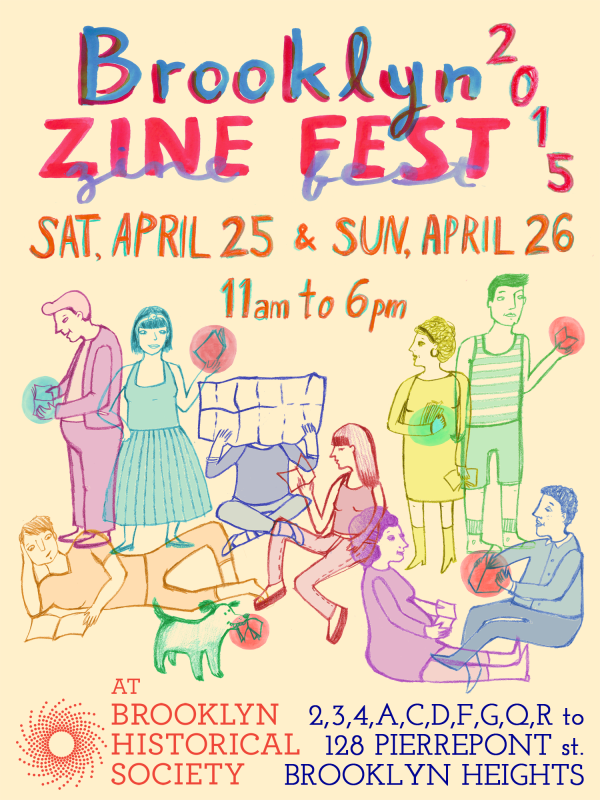 One of the most anticipated annual events for Brooklyn’s maker/DIY community is Brooklyn Zine Fest, a celebration of zines, zine makers (sometimes called zinesters! ), and zine culture. The Brooklyn Zine Fest is organized by Matt Carman and Kseniya Yarosh, who are editors of the collaborative film zine, I Love Bad Movies, among other publications. Now in its fourth year, Brooklyn Zine Fest continues to grow each year, inviting more people to experience and support zines and zine makers. According to Brooklyn Zine Fest, the event is “a space for creative, independent, talented voices from New York City and beyond to connect with an engaged audience. Our exhibitors create all kinds of zines to showcase their writing, illustration, photography, interviews, cooking, and any & everything else they’d like to share with the world. The 2015 Brooklyn Zine Fest will be held at the Brooklyn Historical Society, and is all ages and free to attend. For more information about the fantastic event, be sure to visit brooklynzinefest.com.